On Wednesday and Thursday of QUEST week, the QUEST EXPO features exhibitors of the latest software quality and testing products and services. Take advantage of seeing tool demos, asking questions, picking up literature, making connections, and entering into exhibitor raffle prices which will be given away at the Thursday EXPO Reception. Also attend 30 minute EXPO Talks for more in depth learning. The QUEST EXPO also features local professional associations. www.apifortress.com – API Fortress is an API testing platform. A versatile platform for developers and QAs that want to achieve full testing automation of their APIs. Create and automate functional tests, virtualize APIs, and perform load tests. Save time with automated test generation, collaborate across teams with a unified platform and versioning, and validate deployments to catch problems before your customers or partners. www.delphix.com/ – Delphix’s mission is to connect people to data and accelerate innovation. The Delphix Dynamic Data Platform securely delivers virtual test data copies from production to end users in a fraction of the time and space of physical test data. Delphix provides testers with data controls—including the ability to refresh, rewind, bookmark, and branch test data as a self-service—to drive massive increases in productivity and application quality. Fortune 100 companies use the Delphix Dynamic Data Platform to connect, virtualize, secure and manage data in the cloud and in on-premise environments. www.Kobiton.com/ – Kobiton is mobile device testing for quality-obsessed customers. Our fleet of real devices and flexible deployment options help QA and development teams create the perfect mobile experiences for their end-users. At Kobiton, we understand how important customer experience is to brand perception, and want nothing more than to help companies reduce app abandonment and accelerate delivery while increasing the joy users experience with their product. Whether you need to expand device coverage with access to our public cloud, tame device chaos with our private and local cloud, or simply increase your team’s bandwidth using our automated health check feature, Kobiton has something for every team striving to create a memorable CX. www.mobilelabsinc.com – Mobile Labs remains the leading supplier of in-house mobile device clouds that connect remote, shared mobile devices to Global 2000 mobile web, gaming, and app engineering teams. Its patented GigaFox™ is offered on-premises or hosted, and solves mobile device sharing and management challenges during development, debugging, manual testing, and automated testing. A pre-installed and pre-configured Appium server provides “instant on” Appium test automation. GigaFox enables scheduling, collaboration, user management, security, mobile DevOps, and continuous automated testing for teams spread across the globe and can connect cloud devices to an industry-leading number of third-party tools. www.perfecto.io – Perfecto is a cloud-based platform for web, mobile and IoT software testing, empowering enterprises with the tools needed to deliver better digital experiences. Perfecto’s users can automate continuous testing throughout the DevOps cycle, using a test lab comprised of real browsers, smart phones and devices under real end-user conditions. More than 3,000 customers, including the top global enterprises across the banking, retail, telecommunications, hospitality and media industries rely on Perfecto to help meet user expectations, boost brand reputations, and establish loyal customers. For more information about Perfecto, visit www.perfecto.io and join our community. www.rainforestqa.com/ – Rainforest is changing the way QA is done in an era of continuous delivery. Our on-demand QA solution improves the customer experience by enabling development teams to discover significantly more problems before code hits production. www.softwarecertifications.org – The International Software Certifications Board’s (ISCB) origins date back to 1980 when it was founded as part of the Quality Assurance Institute (QAI). QAI was established as a professional association whose charter was to represent the software quality assurance (SQA) professional. The founding directors of the institute recognized the need to insulate the professional certification program from the association and to that end the ISCB was structured as an independent board of overseers to provide guidance and governance of the certification program. The ISCB officially launched the first certification program, the Certified Quality Analyst CQA (later to be renamed the Certified Software Quality Analyst CSQA), in 1985 and the first formal examination based certification was launched in 1990. Today, the ISCB’s professional certification programs cover three domains, Software Quality Assurance, Software Testing, and Software Business Analysis. Approximately 52,000 individuals have been certified on six continents. www.synopsys.com/ – Synopsys technology is at the heart of innovations that are changing the way we live and work. The Internet of Things. Autonomous cars. Wearables. Smart medical devices. Secure financial services. Machine learning and computer vision. These breakthroughs are ushering in the era of Smart, Secure Everything―where devices are getting smarter, everything’s connected, and everything must be secure. www.totalperform.com/ – Total Performance Consulting, headquartered in Atlanta, GA, is a global performance & quality engineering firm. Our sole focus is ensuring our customer’s applications deliver a world-class user experience. Our solutions include Continuous Performance Validation, Performance Monitoring, Performance Engineering, Quality Engineering, Test Automation, Mobile Testing and QA staffing. Our dedicated focus on quality allows us to meet everything from last minute testing needs to long term test strategy and outsourcing. At TPC we want our customers to focus on building, while we focus on testing. We enable our customers to launch and grow their applications with confidence. www.trissential.com/ – Trissential, an Expleo Company, continues to be a trusted partner, delivering end-to-end quality solutions with first-class expertise and best practices. United globally, we offer Integrated Engineering into our Management Consulting and Quality Assurance services portfolio. We help our clients attain sustainable advantage over competitors and gain world-class performance with a unique combination of our strategic capabilities: Management Consulting, Business Agility, and Continuous Quality. Our global organization now brings a 50-year track record, 15,000 employees, footprint in 25+ countries, and $1.25B revenue generated in 2018. Find out how Trissential is The Shape of Business Improvement at www.trissential.com. www.utopiasolutions.com/ – Utopia Solutions is a global quality and testing firm known for its innovative quality solutions built from over twenty years of helping organizations achieve breakthrough software quality and performance. Utopia Solutions offers project-based solutions and managed services, including test automation, performance testing, mobile quality and remote testing. These solutions enable businesses and their IT departments to focus on achieving business outcomes rather than struggle with quality and performance barriers. www.zenergytechnologies.com – Zenergy Technologies is a software delivery solutions firm that helps clients develop and maintain better software. Zenergy has in-house experts in multiple software disciplines including Agile, DevOps, QA, test automation and performance. These industry recognized experts are not only in high demand as speakers and keynoters at all major software conferences in the U.S. and internationally, they also oversee all Zenergy’s solution and staffing offerings. From helping clients improve processes at the strategic level to managing Zenergy teams as they deliver Agile, DevOps, QA, and automation solutions, the experts at Zenergy will help you succeed. www.aqaa.org – The Atlanta Quality Assurance Association (AQAA) was founded in 1984 with the belief that no one company or individual can learn everything that is needed to assure a Quality Environment. AQAA is a not-for-profit organization organized to share state-of-the-art Quality Assurance methods, tools and techniques among its members. Our membership is comprised of professionals working primarily in the IT industry. AQAA is a QAI Federation Chapter. Our mission is to provide interaction among member organizations in the Atlanta area, to mutually support each other and to allow the exchange of information about Quality Assurance, Software Testing, and Total Quality Management. www.daqaa.org – The mission of the Des Moines Area Quality Assurance Association is to be a network of QA professionals sharing best practices, processes, and methods in the QA information technology disciplines. DAQAA will facilitate the exchange of knowledge, new ideas, and techniques for the purpose of educating its members. We hold a meeting on the second Wednesday of each month to discuss relevant topics in QA and testing. www.ieeechicago.org – Chicago Section serves electrical engineers and computer related professionals in the Chicago Metropolitan Area. It is an active professional network of over 5000 local technology practitioners, innovators, business leaders, educators and students. It is part of the world’s largest professional association (www.ieee.org) dedicated to advancing technological innovation via publications, conferences, standards, and professional and educational activities. www.stlouisqaa.org – The mission of the St Louis Quality Assurance Association (STLQAA) is to provide a place and time to gather with colleagues of software quality and testing in the greater St. Louis area. Our goal is to provide a regular forum to present the latest trends in the industry, to meet and share experiences and knowledge, and to connect with like-minded professionals. www.tcqaa.org – TCQAA is a local Twin Cities non-profit organization dedicated to the proliferation of knowledge of software testing and process. We dedicate ourselves and our resources to the promotion of software testing techniques, tools, processes, and technologies and the advancement of software testing as a profession. 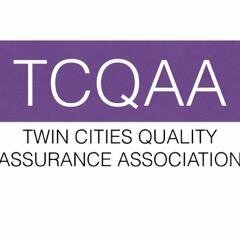 Located in the metropolitan area of Minneapolis and St. Paul, Minnesota, TCQAA has been supporting software organizations and information technology professionals since 1986. TCQAA’s vision is to disseminate and promote quality assurance concepts, principles and practices in information technology across all industries. 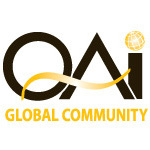 www.qaiusa.com/qai-global-community/ – The QAI Global Institute was founded on the premise of having an association of IT professionals who shared knowledge and experiences in order to broaden and strengthen the recognition of the IT practitioner and IT industry. Since then, the Institute has created a worldwide network of IT professionals, developed over the past 25 years, resulting in relationships with world–class industry leaders. The QAI Global Community includes regional Chapters that focus their attention towards providing local professionals with resources to promote their continued pursuit of knowledge and skill building. You don’t want to miss the Exhibitor Expo.